when working night shifts – it’s a given that hunger will strike at hours that are odd/ungodly…but hunger has to be fed!!! Our building cafe closes by midnight and we had to go all the way to another bldg to get something to eat. It was a coffee shop and the only thing they had at the hours we were hungry was wicked brownie. They actually serve it on a plate – with a slice of brownie and a scoop of vanilla ice cream on its side and chocolate fudge going all across the plate – binding the brownie and ice cream. Well when we ordered it for a take away – they use to layer it for us in a glass for easy take away :). 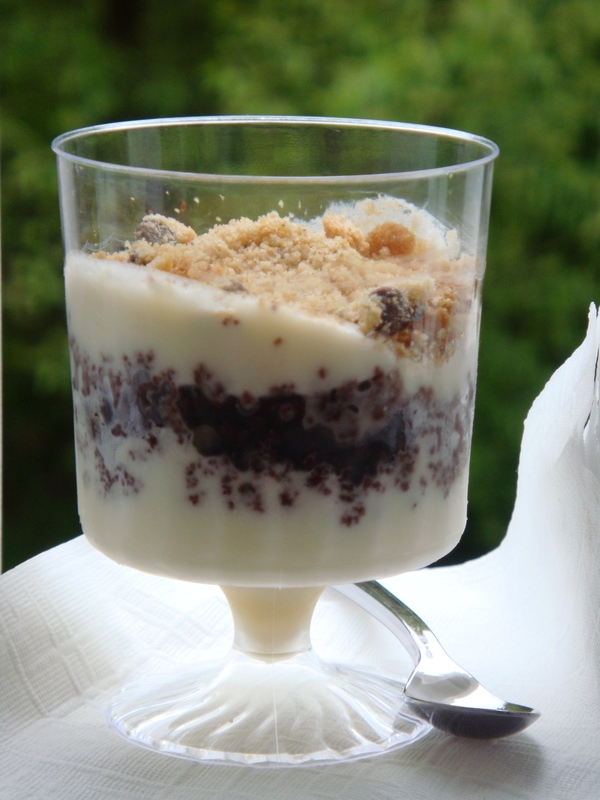 Just the fact that they use to layer it for take away – made me fall in love with this desert. The ice cream and brownie layered were DELICIOUS. 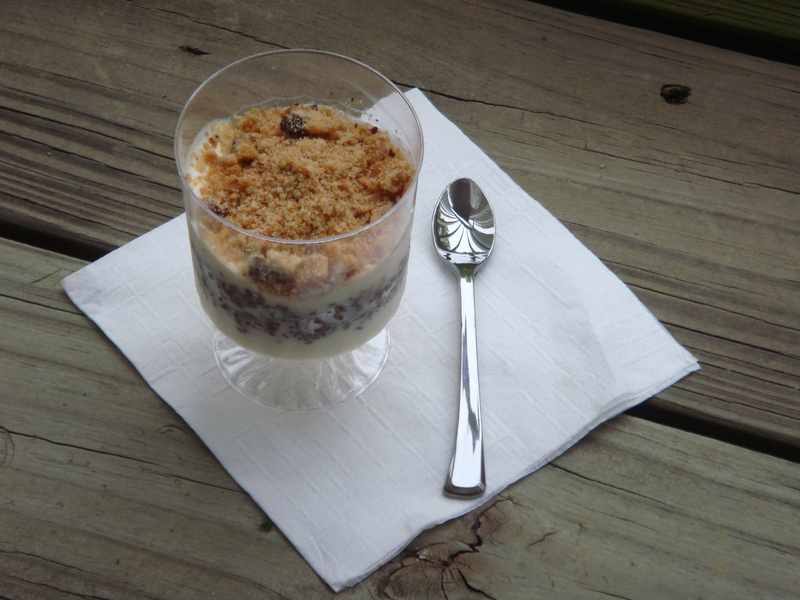 This is such an easy desert to make and it is a guest pleaser – Here is the recipe…. When the brownies are ready – I let it cool for a while and then layered it vanilla ice cream. I crushed a few cookies and used it as a topping :). 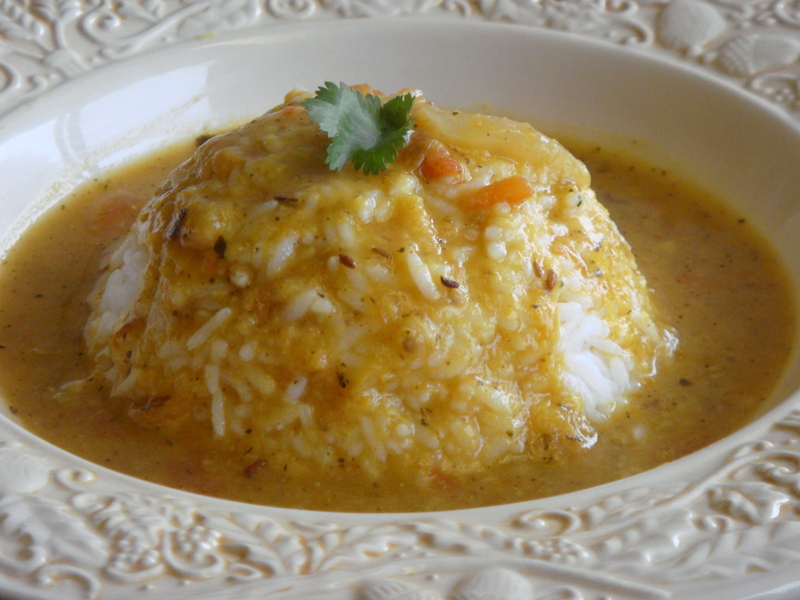 Dal Chawal back home was everyday food – for dinner. My mom makes different type of dal – for every weeknight and then a side of some vegetables along with rice. There are so many varieties of Dal (lentils) that everyday of the week you can have one and the good thing is they all taste different and you wont get bored of them. 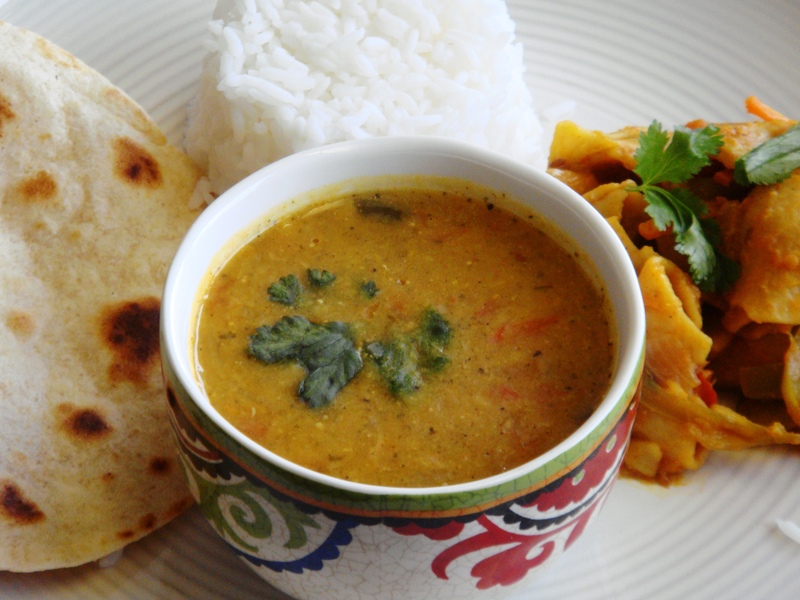 Well – If my Mom doesn’t make Dal for me – it is not an everyday food for me ;). I like adding vegetables when making dal – such as brocoli (yummy) or spinach or sometimes make a combination of different types of dal. Tidali Dal as the name suggests is 3 different types of dals cooked together. (3 dals cooked together). This is mostly made at afternoons in my house as this tends to get a little heavy for a light dinner ;). So let’s get started…. Step 1 – Take a vessel and wash all dals and then soak them for about 2-3 hours. 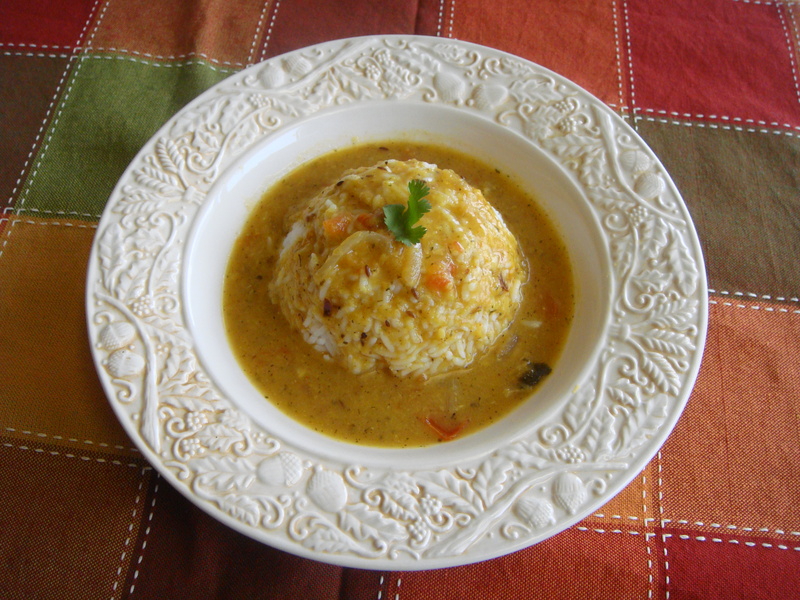 Then using a pressure cooker – add Dal and 3 cups of water and pressure cook them for 3-4 whistles. Once the pressure cooker cools – open it and then mix the dals together. add 1 cup water and put it on low heat. Step 2 – Now for tempering. Take a frying pan and on medium heat add 2 tbsp of oil. Then add cumin seeds and as soon as they crackle add onions. Cook for about 2-3 minutes. Now add dry red chillies and then tomatoes – cook for another minute or so. keep sautéing them as the tomatoes will become pulpy. Then add ginger garlic paste and continue to saute. Step 3 – Now add – turmeric powder, mango powder, chilli powder, garam masala powder, coriander powder and salt. saute for a 2-3 minutes till the oil comes to surface. 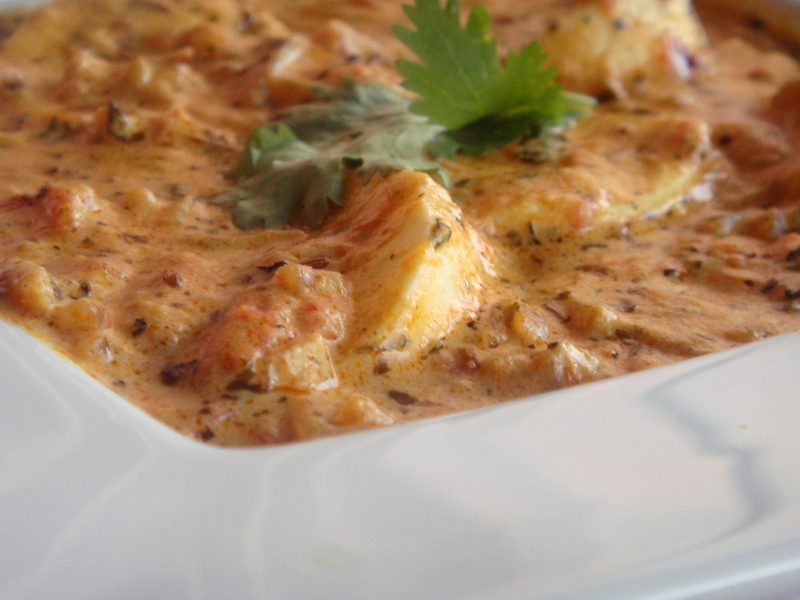 Once you see oil at the surface of the pan – add this to the dal and mix well. Step 4 – bring the dal to a boil and cilantro. switch off the heat – cover the cooker and let it rest for 5-10 mins. 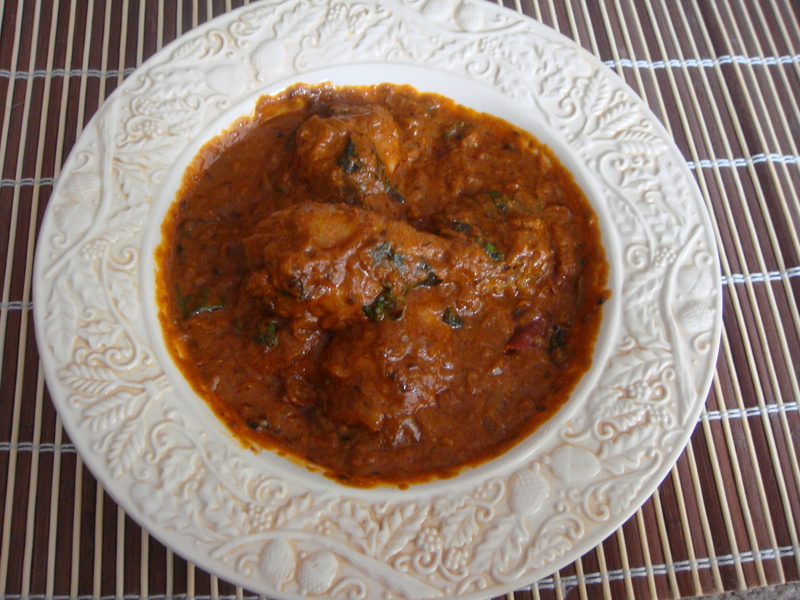 Step 5 – Serve with rice – roti or just drink it like a soup. This dish is one of Mom’s weekend dinner special. She knows we love this dish and prepares it at least 2 hours ahead of our dinner time – so that we could snack on it before sitting for dinner. Now that I have been in the US for about 2 years… it feels funny to have Pasta made at home in a very non italian way. But all the pasta set aside…nothing taste better than My Moms homemade Pasta. This is my Mom’s macaroni recipe – I had shelled pasta and used the same for this recipe. Step 1 – take a non-stick sauce pan. On medium flame – heat oil, add cumin seeds, red chilli and onion. saute onion for about a minute and add salt. Add ginger garlic paste and saute for another minute. Now add tomatoes – coriander powder, chilli powder, turmeric powder, dry mango powder, shredded carrot and bell peppers. Let them all cook together till tomatoes become pulpy. Step 3 – Bring it back to medium heat – Now add the pasta and gently stir – mixing it will the all the ingredients in the pan. Add cilantro – cover and let it cook for 5 mins. Taste and check for doneness. Adjust spices accordingly and serve. All of us in the family had our own way of eating – we used to eat it with rice OR with Dal, Chawal (rice) OR with roti. Sometimes I feel like experimenting with my basic recipes – to see if changing an ingredient brings in a difference in taste? texture??. And then during the process of working with changing ingredients – it helps me learn what works and what else can be tried :). This time It was the absence of raw tomatoes that made me go for the tin of Hunts Tomato paste and work on my basic recipe (I just keep 1 can – before I get a chance to do my grocery – for just incase I need it moments). The tomatoes really worked and gave me a very nice smooth and tasty gravy! Step 1: Take a medium-sized sauce pan (Non stick is good). On medium heat – heat oil and add cumin seeds/green chillies and red chillies. Add onions and saute till onions just start to turn brown – then add ginger garlic paste and saute for about 30 seconds. Now add the tomato paste and saute till for about 2-3 mins. Step 2 – Now add: Turmeric powder, coriander powder, garam masala powder, red chilli powder. saute till all these are mixed well with onions and tomatoes. Step 3: Now add hot water and cook till the water boils (this really should be about a minute or so – since we are adding hot water). Now add salt. Do a taste test here and adjust as needed. Step 4: Fold in Chicken and let it cook till chicken is tender. keep stirring occasionally. Step 5: Once the chicken is tender. 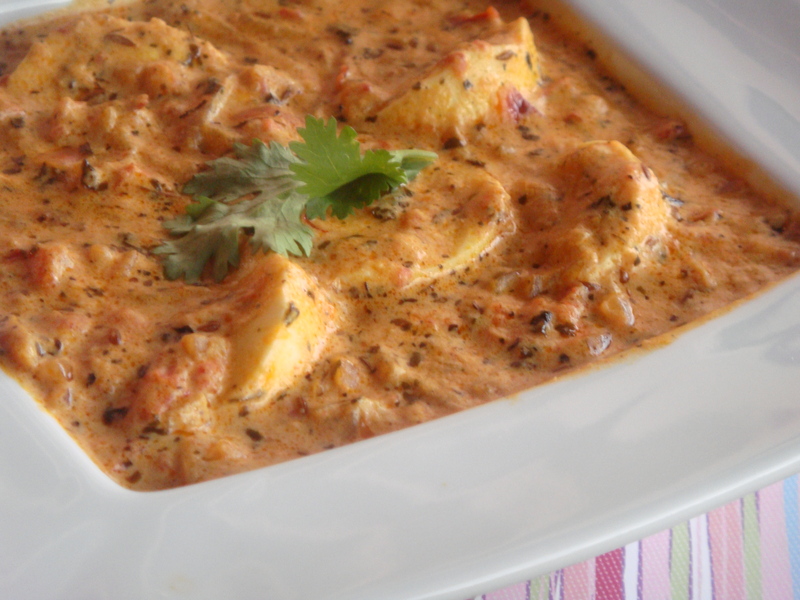 Add fresh cream and stir it on high flame – till it is completely incorporated. Now add coriander and fresh mint. switch off the heat. cover and let it rest for about 5-10 mins. I really really loved the color and the texture of this gravy. 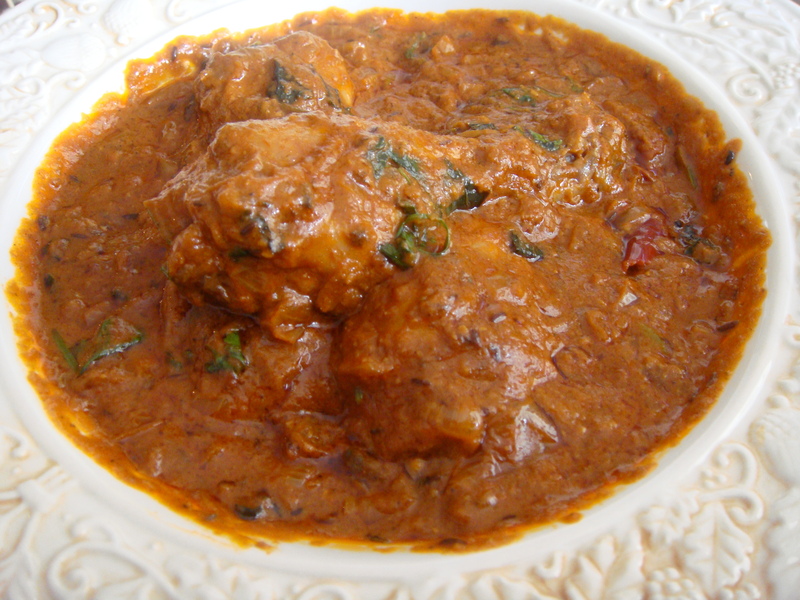 Serve it with plain rice/roti or naan. 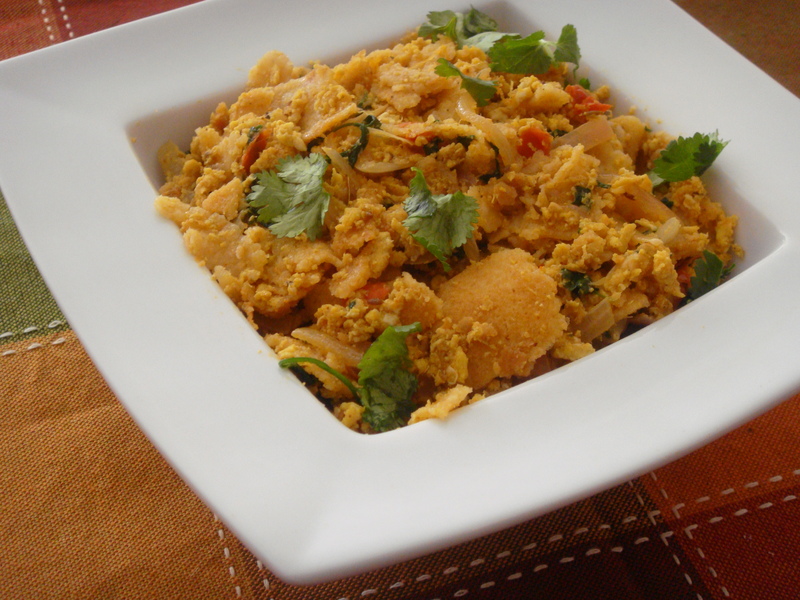 If you are a vegetarian – you can use choice of any of your favorite vegetables or Tofu?? Cooking with raw ingredients is fun – but cooking using “left overs” is an art ;). I love using left overs and get creative with them… don’t like to eat the same meal twice in less than 24 hours. If the left over is plain rice – its super fun to turn it into fried rice, lemon rice etc etc with it. But this time – I had dosas as left overs and this has never been the case before. We usually eat them as and when we make them. So it was time to be creative with them as our breakfast. So the genius in me got thinking and came up with an idea – scramble the eggs and mix with dosa…yes the ideas kept coming and my mind had started working…the hands opened the fridge and the ingredients started chopping…. Step 1: On medium heat a non-stick pan with 2 tablespoons of oil. Add cumin seeds, curry leaves, green chillies, red chili and add onions. saute till onions are transparent. Step 2: Add ginger garlic paste and saute for a minute. Now add tomatoes, turmeric powder, garam masala, coriander powder, red chilly powder and salt to taste. Cook till tomatoes are pulpy. Step 3: Now move this mixture to a corner of this pan and break 2 eggs in the pan on one side. (You can also break the eggs on the mixture) I do this so that the eggs can cook a bit and then mix them altogether. Step 4: Once the egg mixture is ready. Tear the dosas into medium pieces and add it to the egg mixture and cook on medium high heat for a minute or so. Step 5: Add water and let it cook on medium heat till water is completely absorbed. (You are basically doing this to soften the dosa. and we are adding hot water so that the cooking process does not slow down. 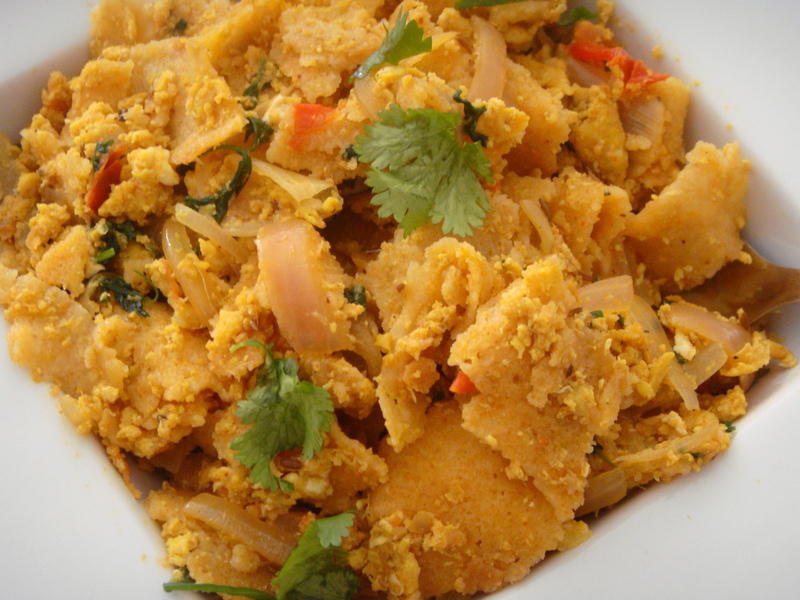 adding cold water will slow down the cooking process and make the scrambled eggs tasteless. P.S. 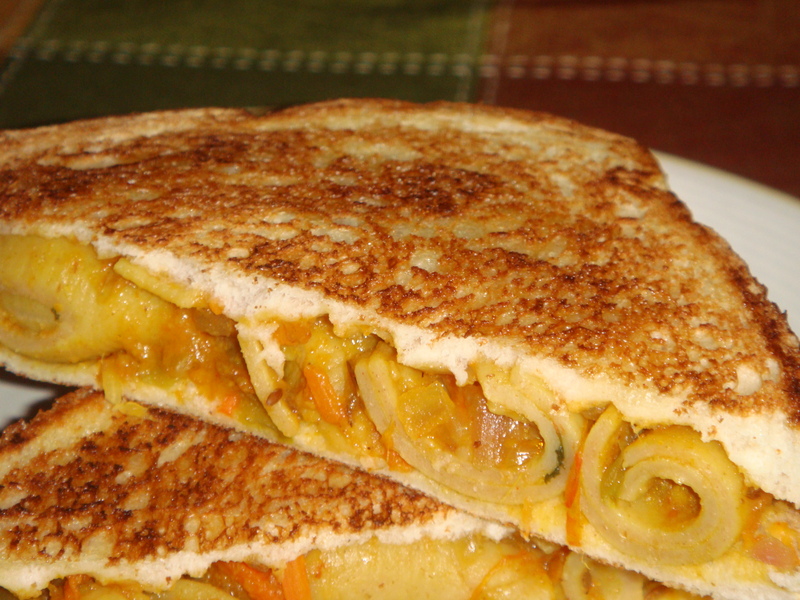 – Dont have leftovers – then go ahead and try it with bread or even chapati. Have fun – Enjoy Cooking. This is how you make homemade cottage cheese – Bring 1 litre of whole milk to a boil and add 2-3 tablespoons of lime juice – stir gently and let it curdle – Drain it in a muslin cloth and wash the cheese – removing traces of lemon from it. Remove excess water and set it aside. Step 1:Heat the frying pan on medium. Add butter and let it melt. Step 2:Next add milk, milk powder, and paneer. Mix it well. Step 3:Cook mixture on medium heat stirring continuously until mixture starts leaving the sides of the frying pan and becomes like dough. This should take about 12 minutes. Step 4:Transfer the khoya into a bowl and let it cool off until khoya becomes just lukewarm. Step 5:Mix the sugar and cardamom powder into the khoya and knead it for about a minute until every thing blends together and become soft dough. 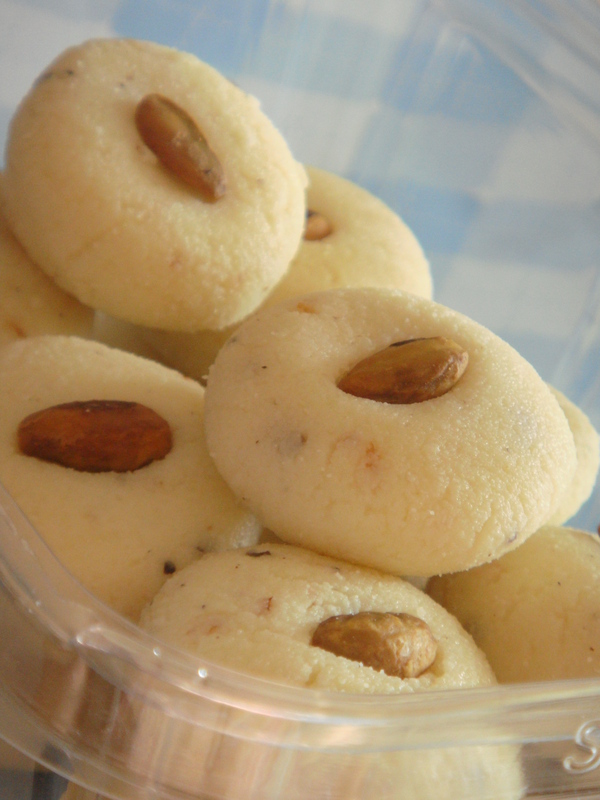 Note: if you mix the sugar while khoya is hot that will make pedas soft. Step 6:Divide the mix into about 20 equal parts and roll them into round balls. Lightly press it down so it looks like small patty. 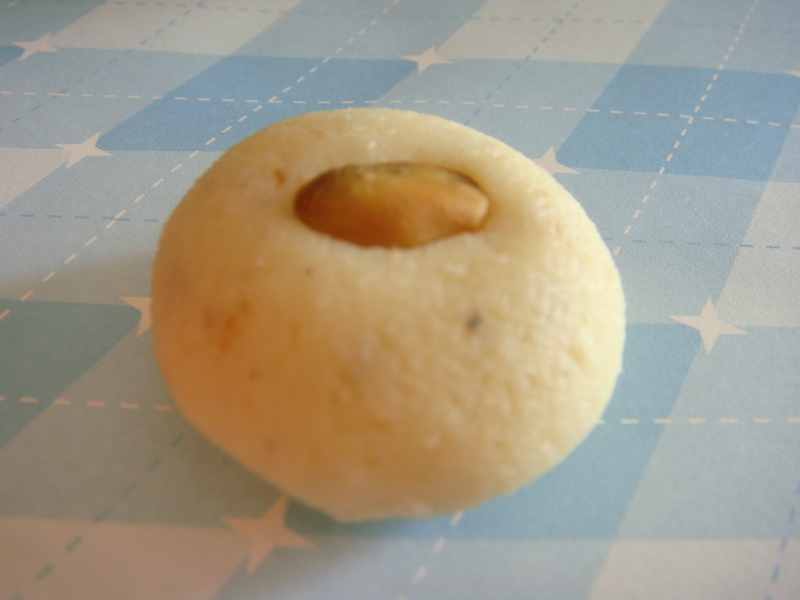 Step 7:Put few pieces of sliced pistachios on every peda. The ‘Incredible’ egg is used by many of us in many many different ways – omelette, scrambled, boiled etc etc. For breakfast, baking, lunch, dinner and it really in true sense of the word is very VERSATILE. Don’t remember a day when the fridge was out of eggs and maybe that’s why they came to rescue when the fridge was out of supplies. So we were out of all the vegetables and had not done our grocery shopping for the week – the ‘Incredible’ egg made a tasty meal. Step 1: Heat 2 tablespoons of oil in a sauce pan. Saute cumin seeds, onions, green chillies and red chilies till onions turn translucent. Add tomatoes, salt to taste, turmeric powder, cumin powder, ginger garlic paste and cook till tomatoes turn pulpy. This should take about 7- 10 minutes on medium heat. Step 4: Now bring it back to medium heat and add water – let cook for about 5 mins. At this point, check for consistency of the gravy – it should be creamy and smooth. If it is watery cook for some more time. 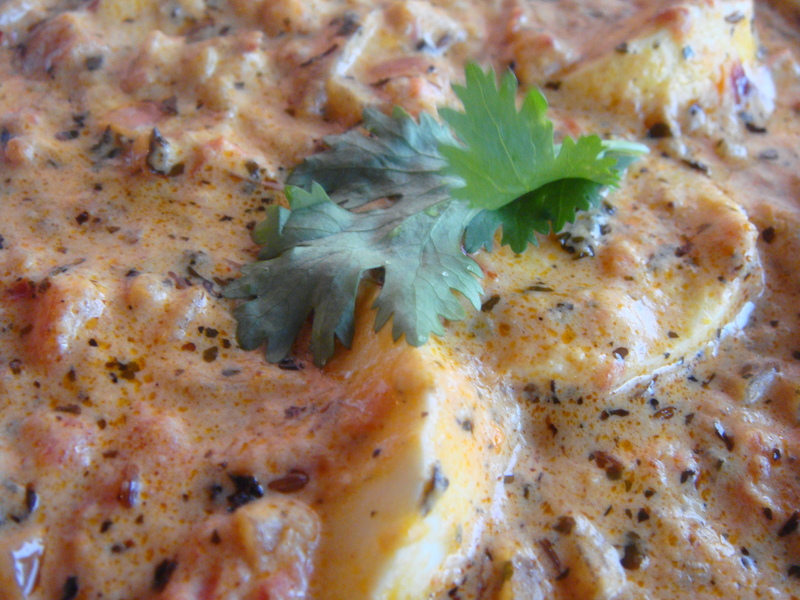 Step 5: Once the consistency is creamy – add in garam masala powder and crushed kasoori methi. Bring it to a boil – add eggs. Switch of the heat and cover the sauce pan with the lid for about 5-10 mins. this will let all the flavors settle and come together. 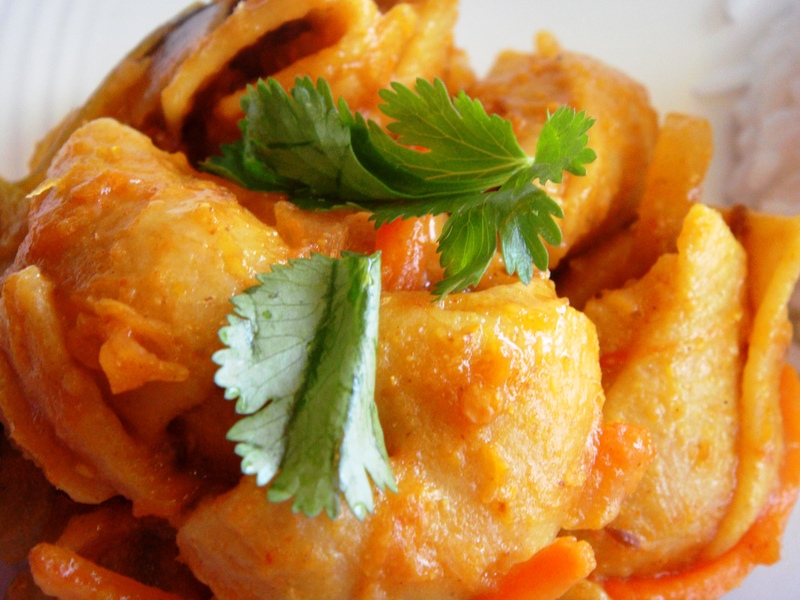 This can be eaten and enjoyed with roti, naan, steamed rice or even with sliced bread. Enjoy the protein 😉 – Try it and let me know if you like it.